The SH*T just hit the fam. 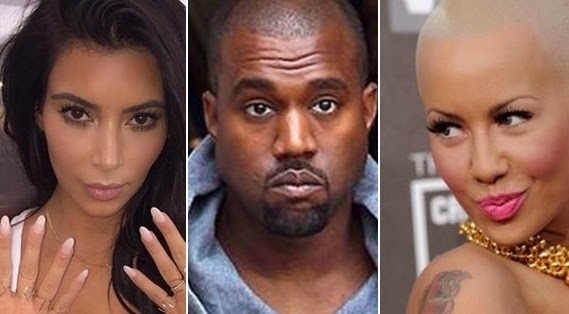 MediaTakeOut.com spoke with one of Amber's closest friends - who tell us that she's FURIOUS - with the ongoing SLANDER CAMPAIGN that she's being hit with - from Kanye and the Kardashian's - and she's ready to drop the BOMB, and spill Kanye's tea. What's the tea, you ask? Well ALLEGEDLY when Kanye and Amber used to date - Kanye liked his BOOTY PLAYED WITH. Not the booty - the HOLE . . . EWWW . . . But here's where it gets even MORE messy Amber also claims that Kanye has PUT HANDS ON HER in the past - and left bruises - which she has photographic evidence of. Kanye and Amber had entered into a legal NON-DISCLOSURE agreement in the past - where Amber agreed NOT TO TELL. But she now feels that since Kanye went on the radio this morning and basically called her a"DIRTY B*TCH" . . . she should be able to spill his tea. This saga is about to get real good.